This week Access All Areas members have a great new font to add to their collection thanks to Nathan Brown from Trailhead Design Co. 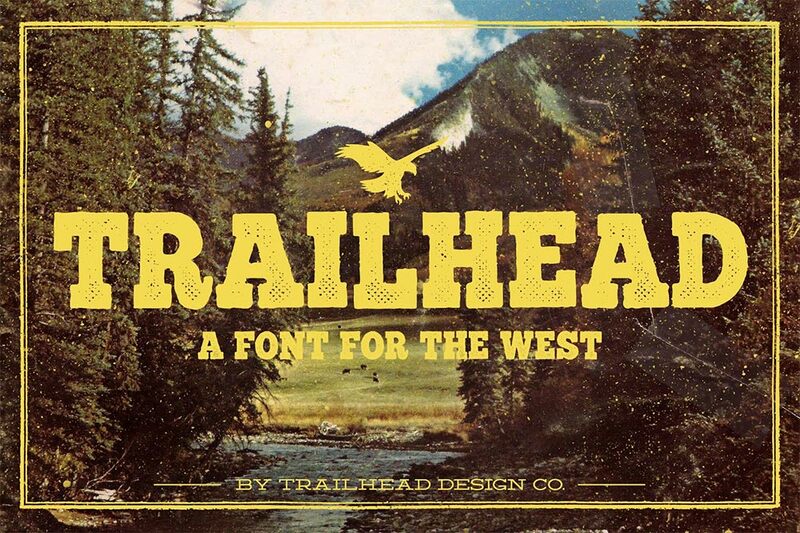 The self-titled Trailhead font is influenced by Nathan’s love of the North West, inspired by annual trips and the lure of the mountains, streams and rivers, and national parks that have bled over into his design work. Trailhead comes in two variants, Clean and Dirty. Both have subtly roughened edges, but the Dirty version is further distressed with worn ink effects. The Trailhead typeface contains two fonts (Clean and Dirty), both supplied in OTF format. It’s a hand drawn slab serif design created with love using authentic vintage references. classic stuff! Thanks for sharing with All area members. Wow! I love the ‘retro’ look! This font is beautiful! Thank you to Nathan and you, Chris! Glad you’re liking the font as much as me!